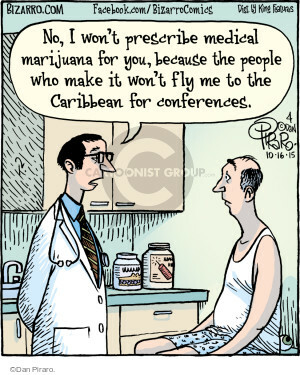 I noticed the cartoon about medical marijuana. My neurologist would prescribe it for me if I really wanted it, but said it would probably not be of a great help to me, so I left it. It hasn’t been much help to me, either. It helps me sleep a bit better, but not much. It doesn’t deal with pain. I never remembered it as much of a help with pain, frankly, but I thought maybe I missed something. No, didn’t miss it. Wasn’t there. Good for sleep and if you are undergoing cancer transfusions and have no appetite, it’s good for coping with nausea. Also very good for glaucoma (I don’t have glaucoma). Unfortunately, it’s not much good for what we’ve got wrong with us. I get those flashing on the side every once in awhile. For me it’s probably stress. I find it goes away if I rest. Not generally stress. Probably “silent” migraine. You get the “pre-migraine” symptoms without the headache and yes, resting helps. So does a cold washcloth or an icepack. And a little bit of sleep. When it happens a lot, it makes it hard to see properly. You get a lot of “burned out” patches and sometimes, double-vision. Very annoying when you are visual and need to see details. 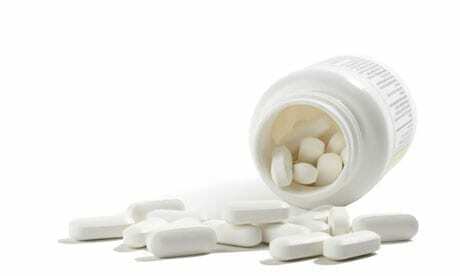 I have those vision migraines – best thing to do is take a couple of aspirins when you feel it coming on. Or a big glass or orange juice. The dullness of the pain will linger a day but at least you won’t feel like you’re on an LSD trip. Goodness!!!!! Haven’t heard of this, sorry you have.